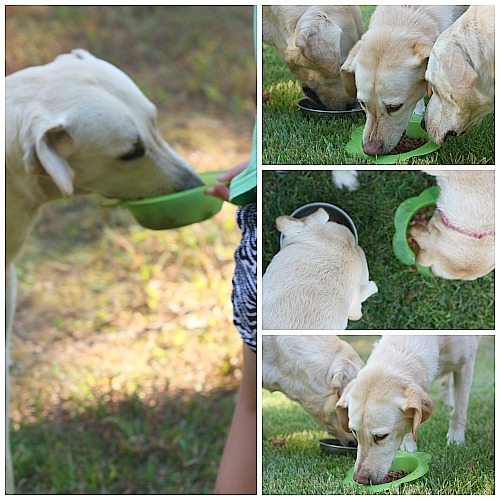 Just like their momma (me), our sweet labs have a rather simple pallete. 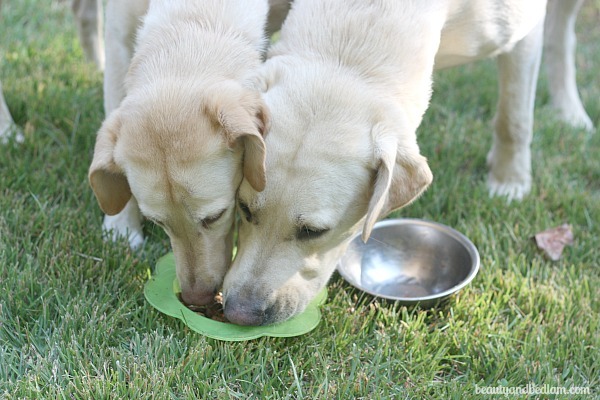 Good ole comfort food is what’s served, and for them, that has always come in the form of dry dog food. Since this Frugal Entrepreneurial Mentor Mom knows what pays to keep those dogs fed, I am not about to bypass an offer to work with ALPO to preview their new wet dog food and honestly, catching these pictures is worth it. Admittedly, when our labs got one little whiff of this gourmet fare of Chophouse Beef Tenderloin in rich gravy sauce, their manners went out the window. He did such a good job attempting to wait patiently, didn’t he? He knew that I wouldn’t feed him til he stopped begging, but that tongue coming up trying to catch a little dribble of sauce just cracked me up. Our daughter’s gift of mercy extended to our youngest dog, Gracie, who kept getting pushed aside. Yes, she didn’t get any, so our 10 year old personally fed her and pushed the other dogs away. I definitely think that ALPO’S HOMEPAGE lives up to its claim. 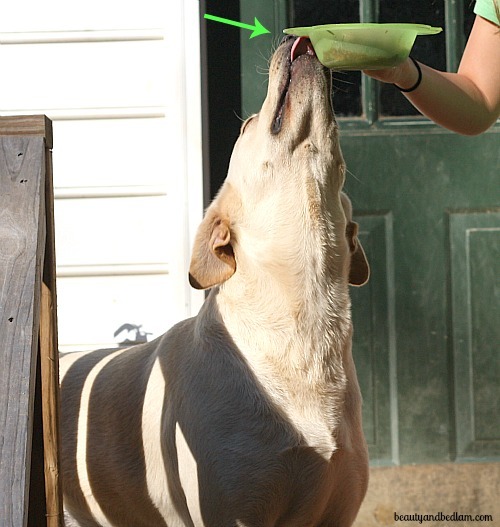 It states that ALPO® ‘s wet dog food brings excitement during mealtime for dogs and their owners by delivering great taste, nutrition and variety. Well, it definitely brought a bit of excitement to this homestead and I’m still chuckling. They NEVER go crazy like that over the dry food, and I was pleasantly surprised at the cost. Check out more at ALPO’s Facebook Page. If you are a dog lover, join the other 215K people who enjoy following along. They have the BEST dog pictures up there ever.